Back in October or November, I joined in on all the hype over the 2013 New Year's lucky pack season. I wanted EVERYTHING from EVERY BRAND and looking at Shibuya 109's online pre-sales and the brand sites I was freaking out everywhere. Despite lucky packs being super cheap compared to the amount of stuff inside, they always turn out super expensive, especially when you're trying to import-- so I knew that in reality, I couldn't get too much. But my God the shipping...? The shipping would've been around 80 dollars which was INSANE. So my lucky pack was sitting in his room for the longest time because I never got around to pay for it. But luckily one of our friends was going to Japan to visit! And somehow, by the grace of God, I was able to evade that crappy shipping price altogether xD Thank you Rei for smuggling my lucky pack into the states.. In this image, you can really see the size of this bag. It's actually -larger- than my Victoria's Secet tote bag that I always carry around... completely stuffed, it's actually bigger than my whole upper body, both length and width-wise. Crazy. The mound of stuff I got! 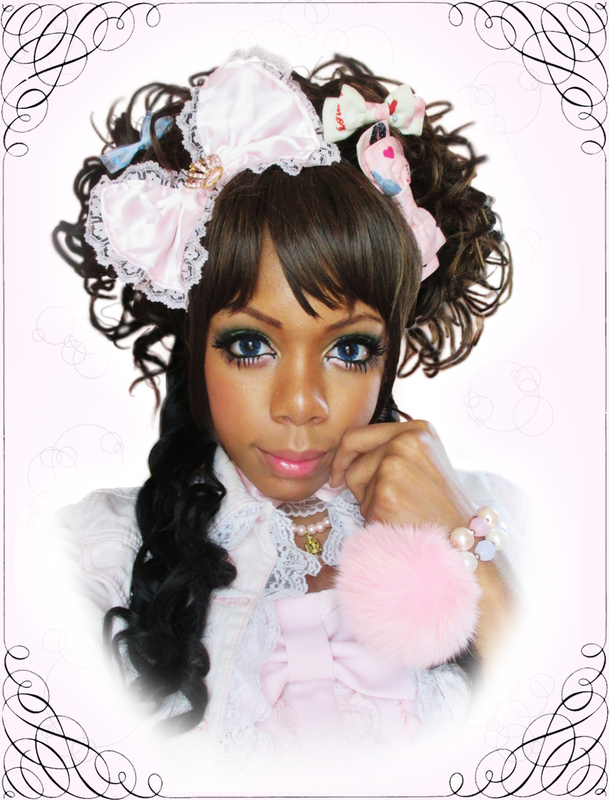 The main colors being natural whites, browns and pink, as most of Liz Lisa's stuff are nowadays. The coat that I received-- it's a nice fuzzy coat. It actually fits me (length-wise.. of course my breasts would forbid it to close), but I'm not planning to keep it~ if you're interested in purchasing, look for my next post! BUT. IT DIDNT FIT ME. With any Japanese brand stuff, it's usually always the dresses that fit, and the tops and everything ill-fitting, but with Liz Lisa, it's the complete opposite. So all my tops, and even the skirt I received fit me... but the dress doesn't. I am disappoint. Luckily, a friend bought it off of me ; u; so now it has a good home. I'm... blown that I can get this skirt on. And it's actually comfortable. So the lucky pack was like what, ¥12,500 (a little over 130USD)? While the value of the things in this bag came out to ¥50, 715! That's over 530 USD! And not even including the possible value of the lucky pack tote!